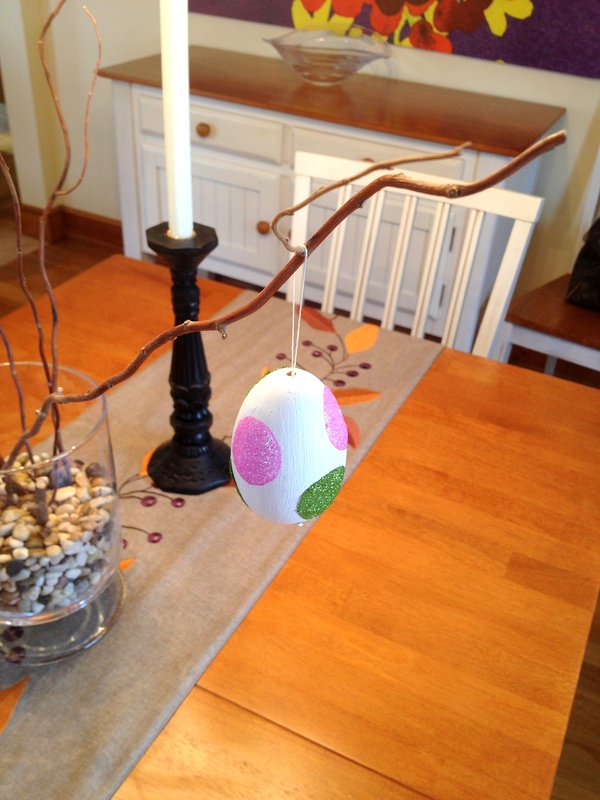 Last year I started a new tradition of decorating a wooden Easter egg for our Z that we can hang every year. I made a purple egg with white polka dots and frankly, I didn’t love how it came out. 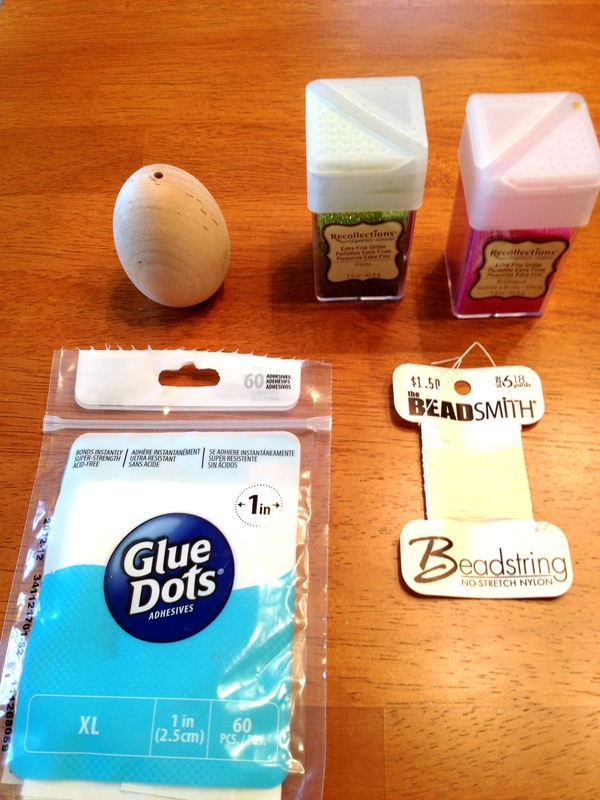 Since we love polka dots in this house, I decided to re-do how to make a polka dot Easter Egg. This time it was easier and came out looking exactly how I wanted and envisioned. 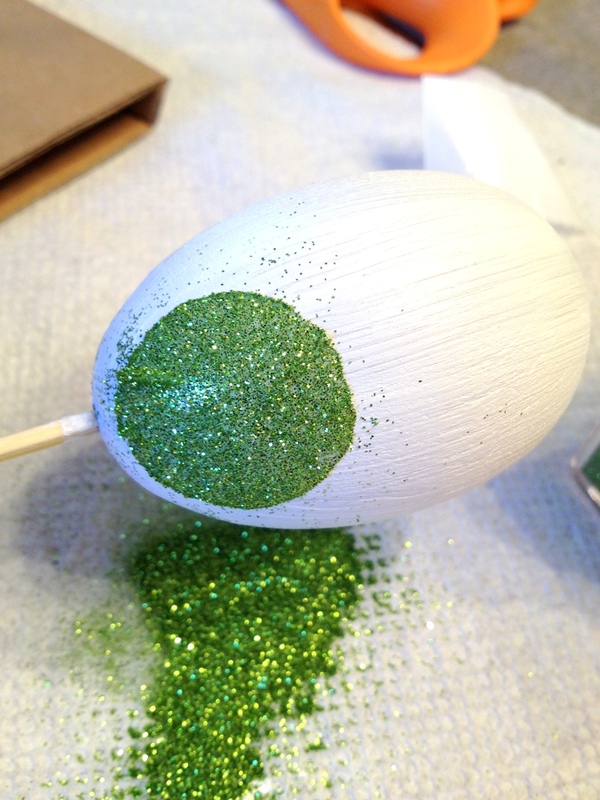 You’ll need: eggs (I used a wooden egg but you can do this with hard boiled or blown eggs as well), glue dots, glitter, and string to attach and hang the egg. 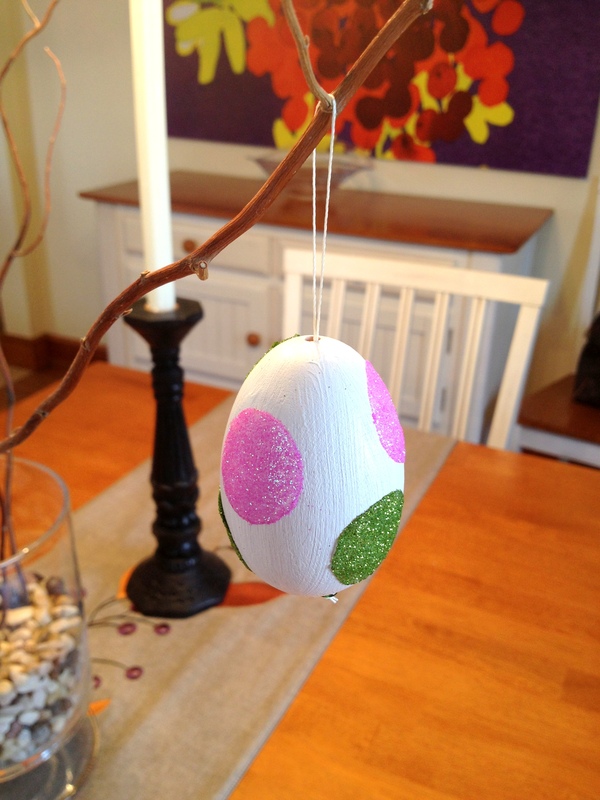 Before I began decorating, my husband drilled a hole through the wooden egg and I painted it white. I also wrote her name and the date of Easter on the bottom (since we’re saving these year to year). 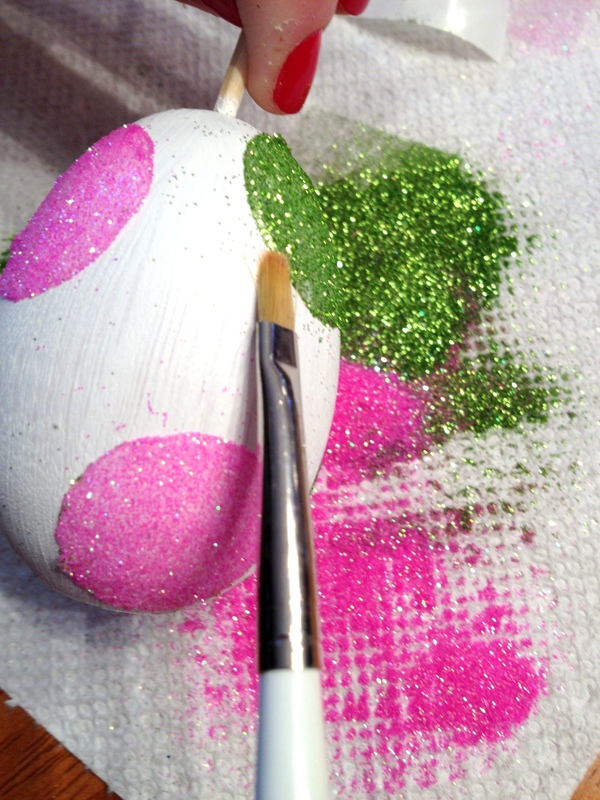 Start by strategically sticking your glue dots on the egg. 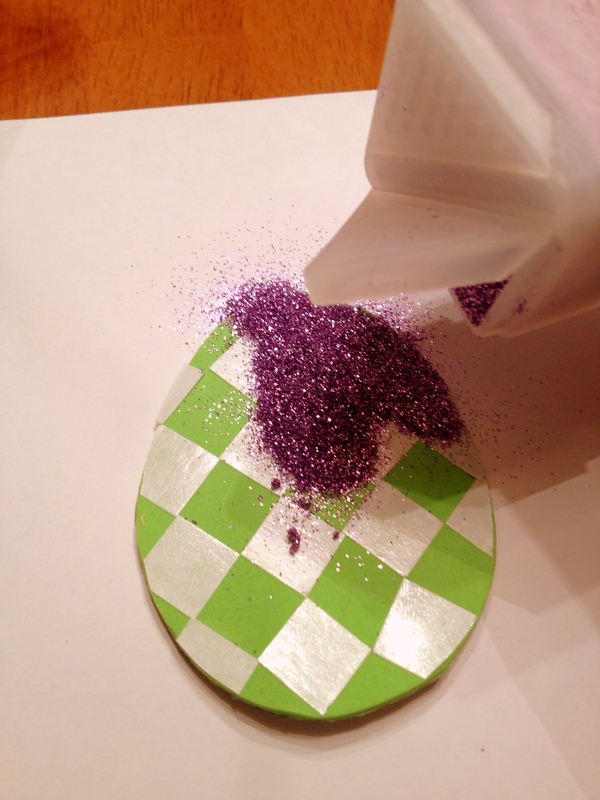 Peel back the paper over the sticky part one dot at a time and pour glitter. 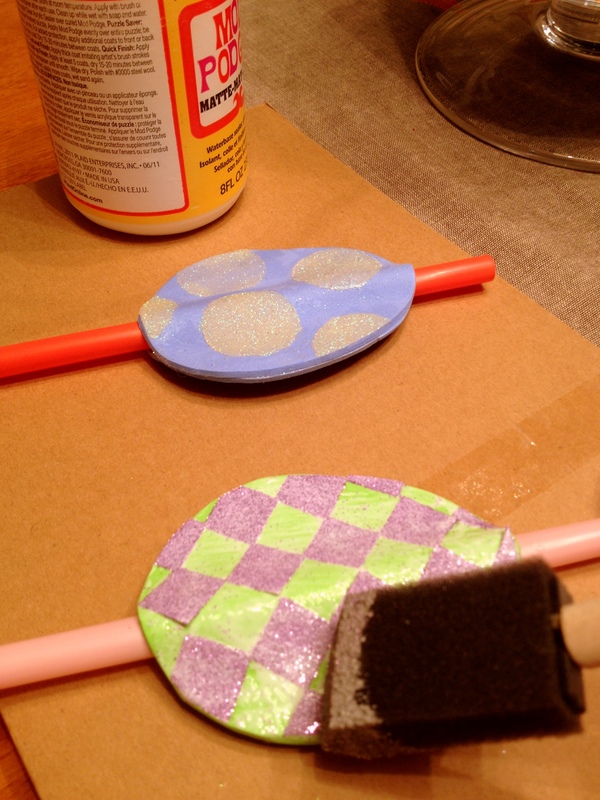 These dots are very sticky and the glitter will stick nicely. Brush off unwanted glitter with a small paint brush. Now you’re ready to string the egg and hang it! Stringing your egg can be tricky, this year I used thick thread and then added a matching green bead in between the bottom of the egg and the knot to make sure it stayed in place. Done – cute egg! Our family room is long with a step down in the middle which creates the feel of two separate rooms. The top level is where we have our desktop computer, bookshelves and toys and therefore where our Z spends a lot of her time. The lower level has our couch, TV, coffee table and a couple other odds and ends (this is where Maxine the cat hangs out, see below). There is an interesting phenomenon with this set-up when we have guests over…everyone sits on the floor of the upper level. Whether it’s to get down to play with the kids or to sit on the step and watch a sporting event on TV, the ground of our upper level is almost always a guest seat. So, when I saw this adorable pouf on Pinterest, I was sold. What a perfect piece to have in the family room to be a sometimes-table-surface and a sometimes-guest-seat so they don’t have to sit on the floor. And it’s orange! Which I’ve mentioned is the color of our family room and it would coordinate perfectly. But, even after speaking with a rep from Nordstom at Home, I was told tragically this pouf in orange is sold out – they will not get any more in stock – ever. And now I am on the hunt for a replacement. Here are some contenders, what do you think? This striped blue one from CB2. I like the handle, it’s totally moveable. This Pull Up a Pouf from Land of Nod is really cute and the color would coordinate with our couch. Also from Land of Nod this Grey Herringbone pouf, but not sure I like grey. The pouf collection at West Elm, especially this Bazaar Pouf, is fantastic – but I’m not spending $249. Cute chevron pattern from an etsy seller – she has tons of colors and patterns, so maybe this is the way to go. What a week – you can definitely tell Spring is in the air…that foot of snow we got last Friday is just about gone! This weekend we’re excited to hit the slopes for probably one last time this season and then we’re going to a little birthday party for my niece (turning 6!!) and my nephew (already 3!!). Time flies, huh? We got the above mentioned play kitchen at Ikea and kind of had a blast while we were there. Z tried out every table and chair in the kid section, look how serious she took it! I also thought this rug would be fab if I had a home in Miami, Fort Lauderdale, or that neck of the woods. I went to a fun afternoon tea/fashion show at Bloomingdale’s with my friend Amelia. The tea part was great, the fashion show could’ve used a little more fashion (only 15 looks!). 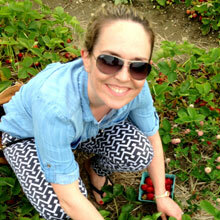 I wore my favorite J.Crew bow pants. We went out for sushi! This photo is deceivingly calm…the restaurant where we ate didn’t have high chairs so while we were chop sticking and dunking into soy sauce, our munchkin was ripping apart the table. It was what they call “a disaster.” At one point my husband grabbed bungee cords from the car to bungee her to a seat…yeah, that didn’t work either. Shake Shack Chestnut Hill opens Wednesday 3/20 – can’t wait to try! Clothes do make the man, at least this character from Girls. If you haven’t guessed, we enjoy food in this house, and we really enjoy making food. Trouble is, we’re always wanting to try new recipes and ideas and sometimes, frankly, it’s exhausting. Well, we found a sale on Ruelala recently for a site called Blue Apron and we knew we had to give it a try. 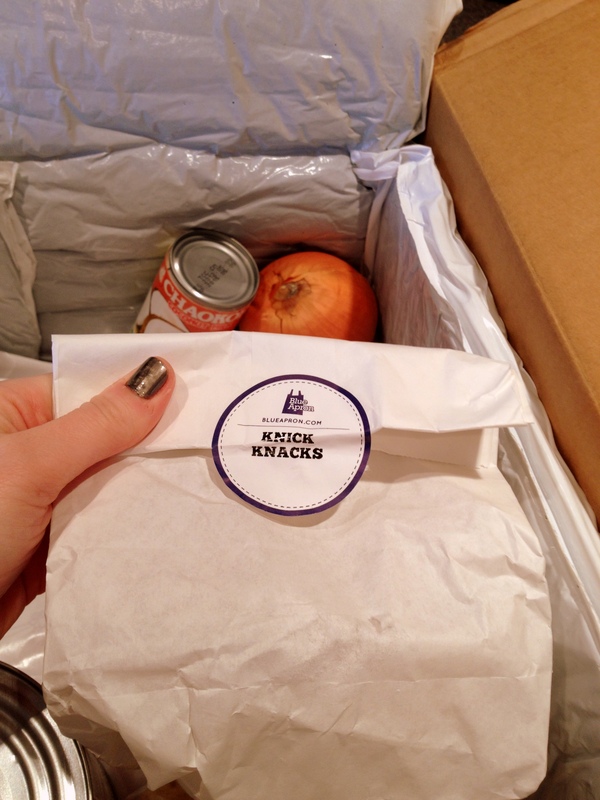 You sign up and the ingredients to make 3 complete meals are delivered right to your door. It’s the perfect way to try new recipes without a) having to figure out what to make or b) having to go out and shop for the ingredients. 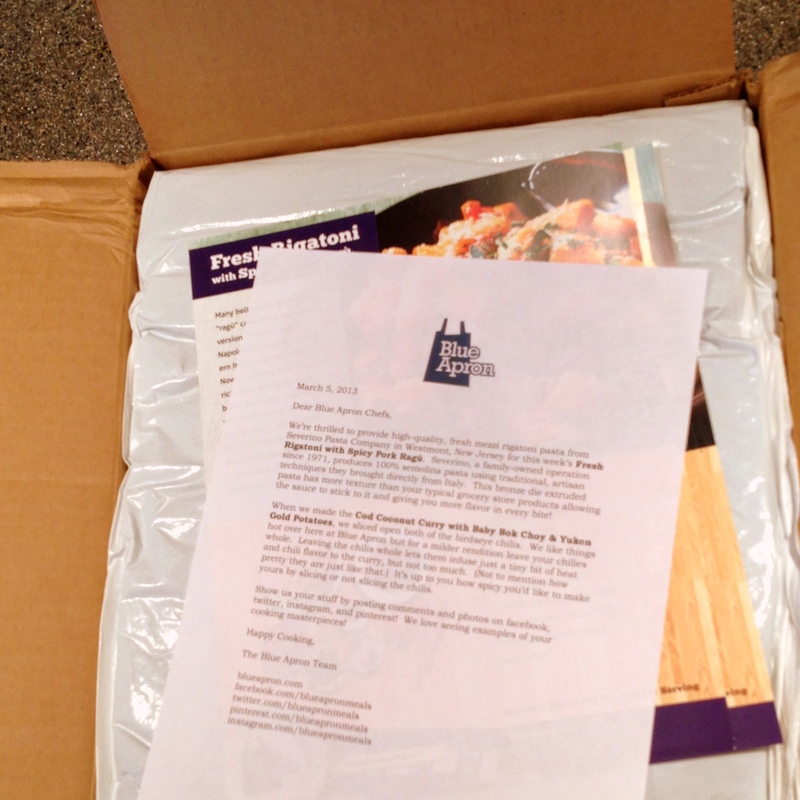 Your ingredients arrive with a nice letter making you excited for your cooking adventure! Our ingredients to make: Chicken Saltimbocca, Pork Ragu, and Cod Coconut Curry. I especially enjoyed the “Knick Knacks” bag filled with spices and smaller ingredients like chile peppers and ginger. 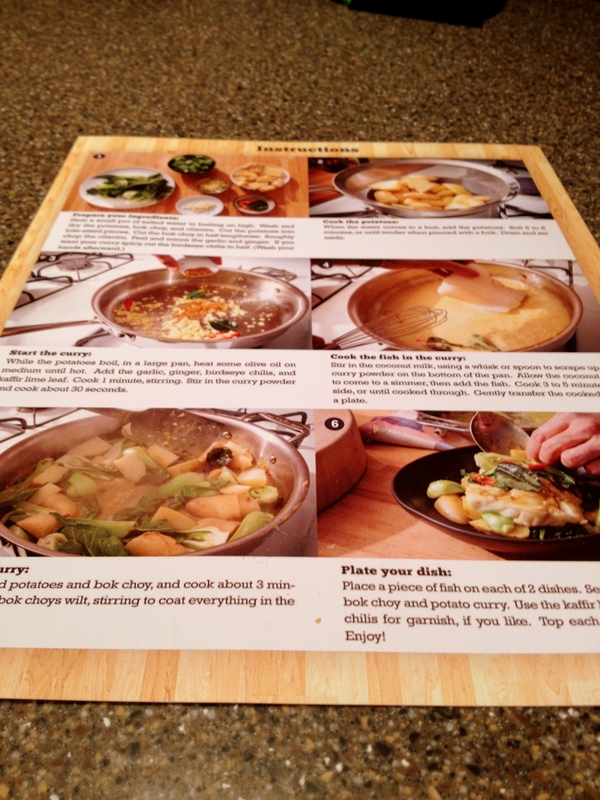 They make the recipes super easy to follow along with photos. 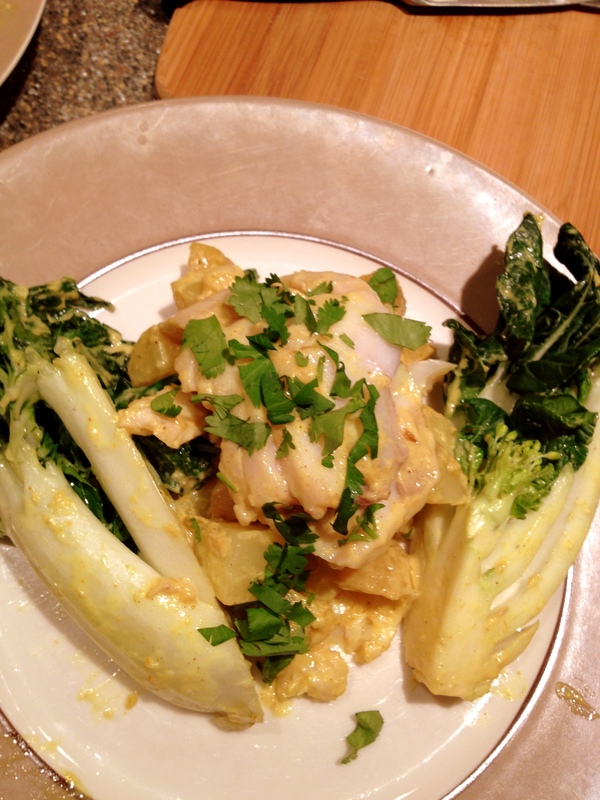 This is the Cod Coconut Curry with Baby Bok Choy and Yukon Gold Potatoes. Overall it was good – but it was very spicy and there was a lot of grittiness to the bok choy even though we thoroughly washed it. 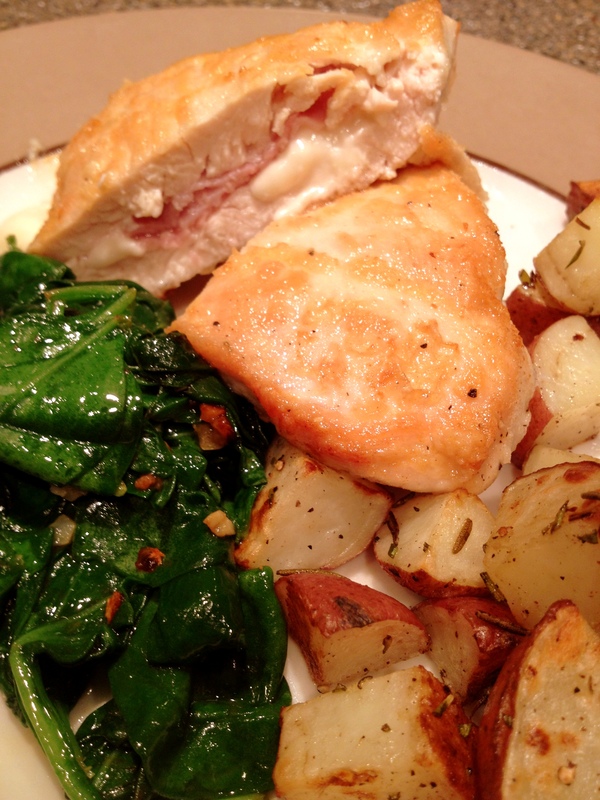 This is the Chicken Saltimbocca with Rosemary Roasted Potatoes. This one was very good – you can’t go wrong with a meal with cheese and prosciutto, it was also Z’s favorite. 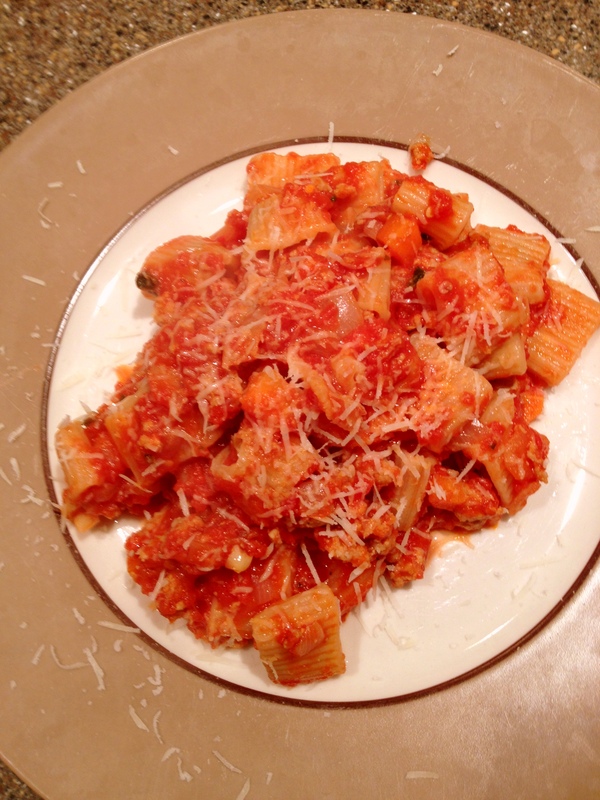 This is the Fresh Rigatoni with Spicy Pork Ragu. This was also very good, but the most that we feel we could and would make ourselves. You can’t beat fresh pasta though, it was from a place in New Jersey. 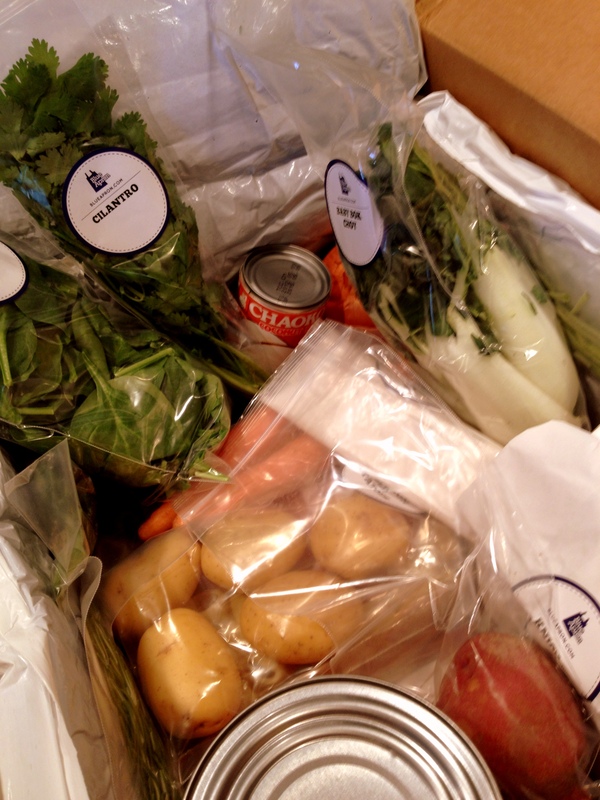 Overall, we had a great experience with Blue Apron and three fabulous meals. The ingredients were fresh (accept one rotten onion) and very interesting (we had never worked with Birdseye Chiles before). We also don’t use many fresh herbs so that was a real treat to use them in every meal. 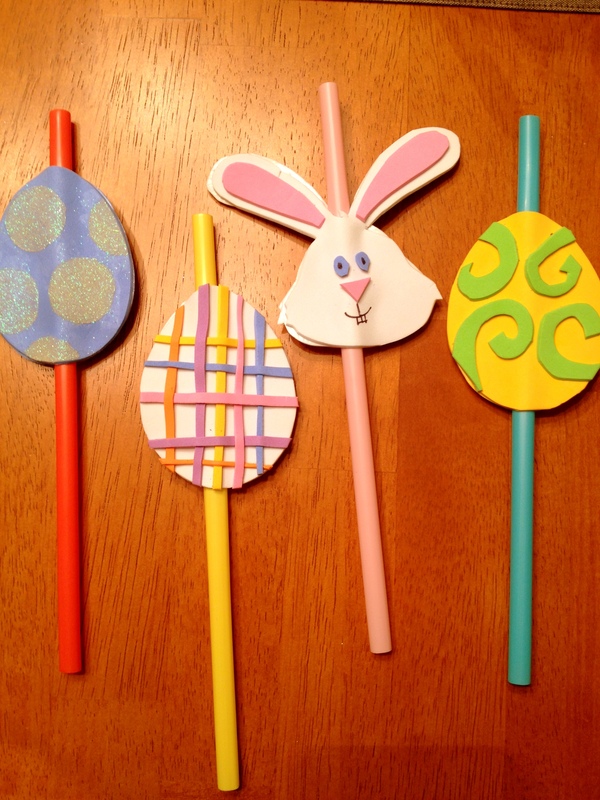 I am starting a new series today of Easter crafts – one or a two a week until Easter, which is March 31st this year. 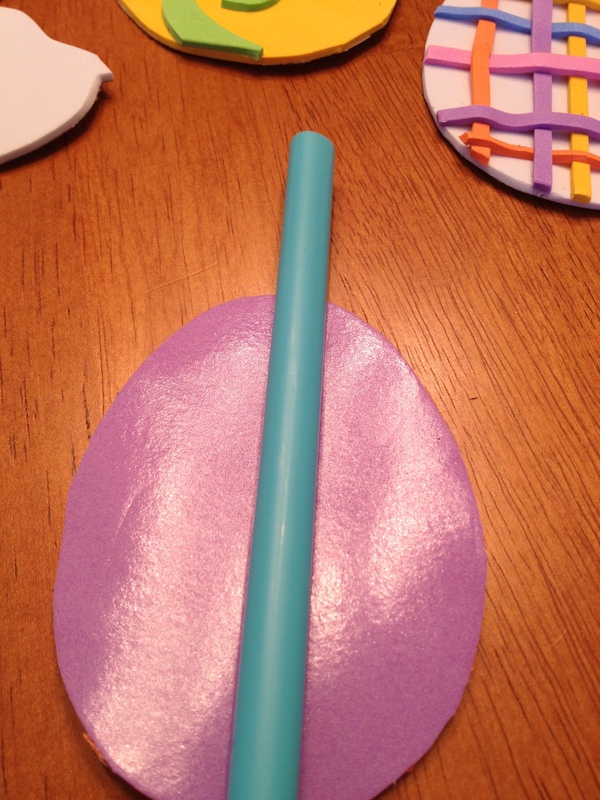 For my first craft, I thought it would be fun to make brightly spring-colored drinking straws for Easter this year. They will add pops of color to your Easter dinner table and can even be used as place cards if you write names on the back of each one. These are really easy to make with lots of room for your own style and color pallet to make them work for your Easter celebration. 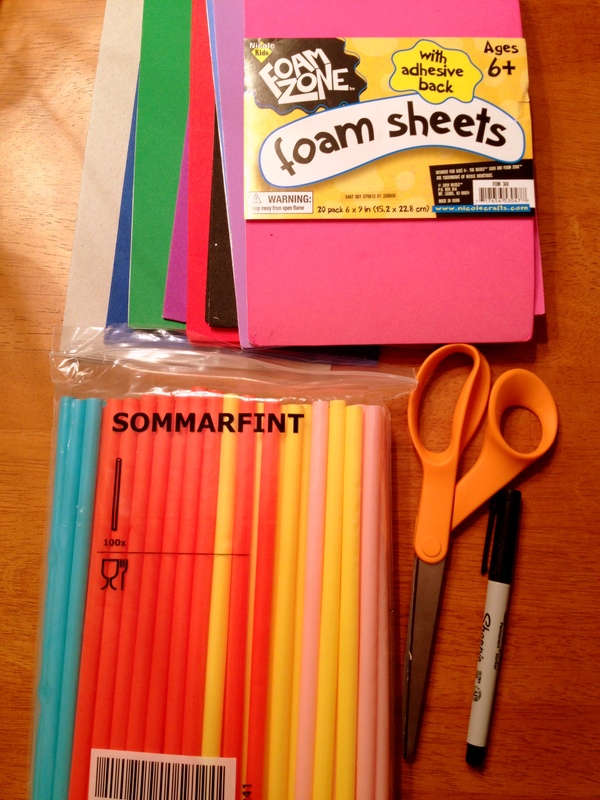 You’ll need: Straws, colorful foam sheets with adhesive backs, sharp scissors, a pen, shapes to trace (if you don’t want to draw free hand). First, make your shapes. I made Easter Eggs and Easter Bunnies and used a sample to trace so they would all be the exact same size. Trace on the back of your foam. Then go crazy decorating the front with more shapes cut from the foam. I also used double sided dots and squares to make designs with glitter as you see above. If you do this make sure to cover these ones in a thin layer of Mod Podge to seal the glitter. You don’t want glitter falling into anyone’s drink! After the shape is decorated, peel the back of the foam off and stick to the straw. 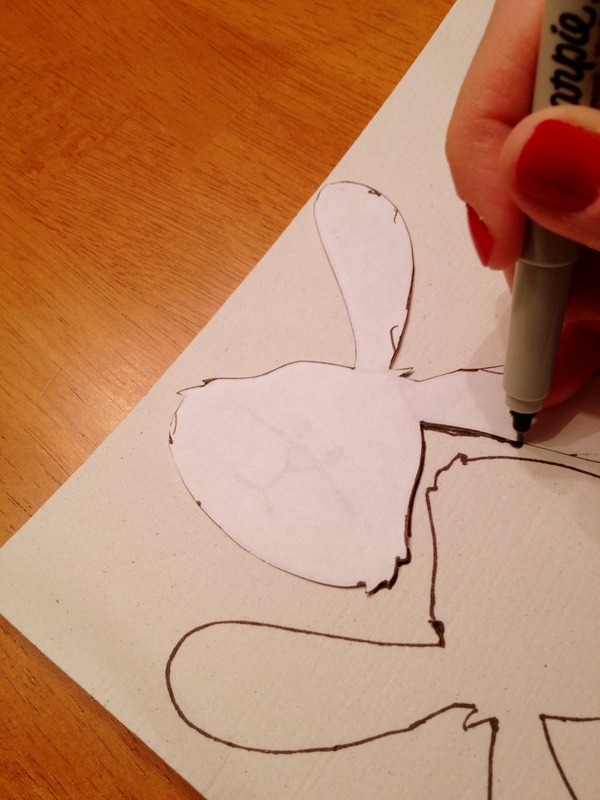 Then stick a plain version of the same shape and color on the back and stick together. 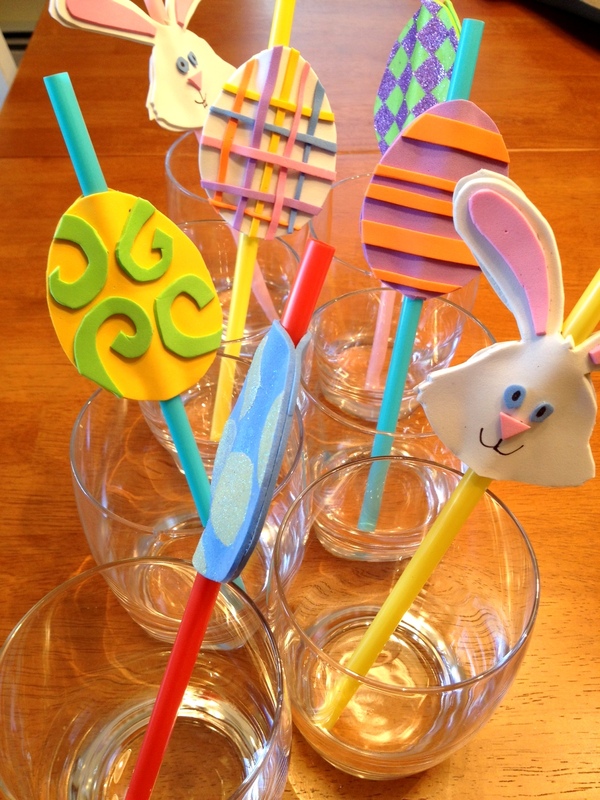 Colorful Easter Straws – drink up! I used to go to the St. Patrick’s Day Parade in Boston’s Southie EVERY year. You’d wear green, dress in layers, have some Guinness – it was always a blast. I haven’t been in a couple years (you can imagine why – a little someone whose name begins with a Z) but if I were going this year, I would wear something like this. Luck ‘o the Irish! 1. Hat from Zazzle; 2. Long sleeve t-shirt from Cafe Press; 3. Claddagh ring from Overstock.com; 4. A can of Guinness; 5. BDG Jeans from Urban Outfitters; 6. Madewell’s coral jean jacket for a pop of color (other than green); 7. Four leaf clover socks; and 8. Green Converse sneakers.